The Psyche Experience Mobile App will allow users to interact with a smartphone’s camera and map features to collect and assemble a virtual Psyche Mission spacecraft. 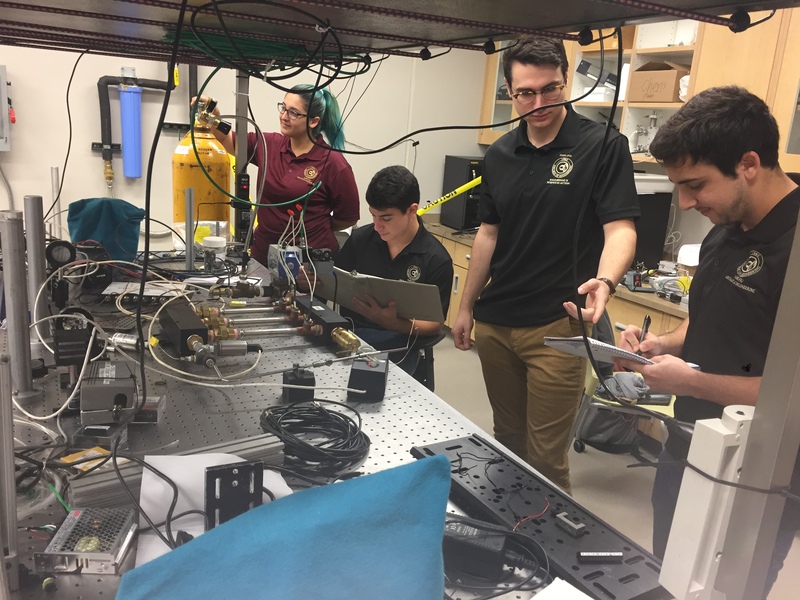 Psyche xenon flow controller team at Florida A&M University-Florida State University. From left: Micaela Martinez, Eric Smith, Zachary Barnes and Arturo San Segundo document pressure and temperature values of proposed test components for the xenon flow controller. The Remote Exhibit Interpretive System team (from left) Ric Alling, Caralie Cedarleaf, Brenden Leader, Uilani Forgione and Arnoldo Ibarra with the Psyche spacecraft model in process in the Gallery of Scientific Exploration in Interdisciplinary Science and Technology Building IV on the ASU Tempe campus. Aerial view of the Remote Exhibit Interpretive System team working on their project within the Psyche spacecraft model in the Gallery of Scientific Exploration. A sample screen shot of the Remote Exhibit Interpretive System team’s planned interactive display. The School of Film, Dance and Theatre in Arizona State University’s Herberger Institute for Design and the Arts is launching a new workshop this summer for screen actors. The Screen Acting Summer Intensive workshop will be held over two weekends in July at ASU Film Spark in Santa Monica at the ASU California Center and also will be available as an online workshop. Gene Ganssle, a lecturer in the School of Film, Dance and Theatre, will work with Los Angeles-based coaches to bring students a dynamic live and online experience on the business of screen acting. Ganssle has been acting professionally on stage and screen for 30 years in the Phoenix area, with more than 500 films, radio and television commercials and industrial projects and dozens of stage roles to his credit. 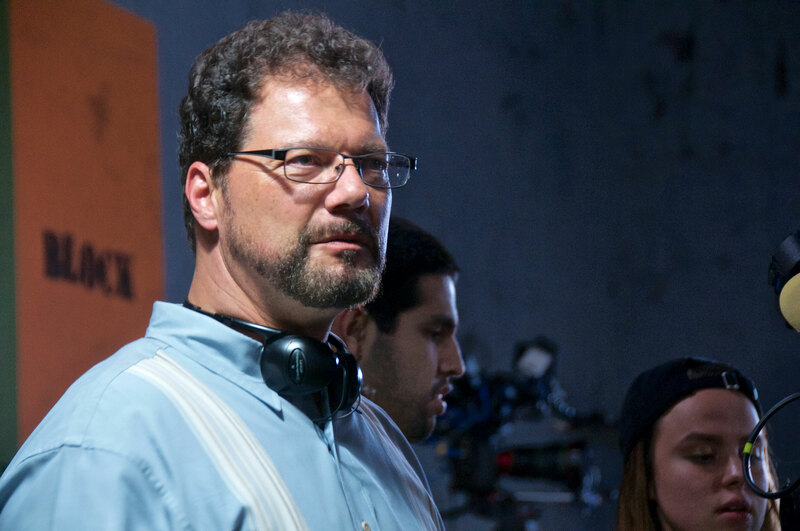 He has directed plays and feature films, runs his own video production company and has taught classes to thousands of students, including almost 10 years teaching acting and video production at ASU. The continuing education workshop, which also features practical advice on the Los Angeles and Phoenix markets, is for actors of all skill levels, including community college, college and ASU alumni in the LA area. For students unable to attend in person, online enrollment is available at a dramatically reduced rate for online viewing of recorded workshops, submittal of questions and professional evaluation of self-recorded exercises. The workshops are limited to 20 slots for the in-person workshop to ensure individual attention. • Weekend 1: Friday, July 12–Sunday, July 14. Cold reads and improvised scene work, on-camera auditioning workshop with LA coach and ASU faculty, scene/monologue work with LA coach and ASU faculty, voiceover workshops with ASU faculty, shooting and review. • Weekend 2: Friday, July 19–Sunday, July 21. Scene/monologue work and self-taping with ASU faculty, rehearsal and casting workshop with LA casting directors, prompter workshop with ASU faculty, scene shooting, final assessment. • Classes run 10 a.m. to 5 p.m. each day, with a break for lunch. • $400 — Early registration (by March 15). • $450 — Regular registration (March 15–April 30). • $475 — Late registration (May 1–May 15). • $250 — Single weekend. • $200 — Early registration (by March 15). • $225 — Regular registration (March 15–April 30). • $250 — Late registration (May 1–May 15). • $125 — Single weekend.